Our wetwells are corrosion resistant to wastewater gases such as hydrogen sulfide. Over a short period of time, concrete wetwells can start to leak or decay. Fiberglass wetwells by LFM can withstand years of exposure to the most severe conditions within a wastewater system. 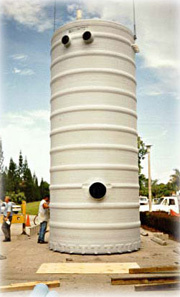 LFM builds fiberglass manholes to your specified dimensions with standard diameters from 36” through 15.5’. Depths are available from 2’ through 40’. Greater depths can be custom fabricated. Ask your LFM sales representative for details. We manufacture several different wall thicknesses for different load, depth, and diameter specifications. LFM also incorporates a ribbed wall system into wetwells that require added strength. Reinforced FRP tops and bottoms are also available. Contact your LFM sales representative to find out which dimensions best suit your needs. LFM can build fiberglass wetwells to fit your specific requirements complete with pipe stub-outs already in place, making installation easier and less time consuming. We also offer alternative methods for connecting pipe to our fiberglass wetwells such as Kor-N-SealTM boots, as well as connectors from other manufacturers. LFM maintains its own fleet of delivery trucks, which lowers delivery costs considerably. Our fiberglass wetwells are light-weight and can be more easily loaded and unloaded on construction job sites than conventional concrete wetwells. 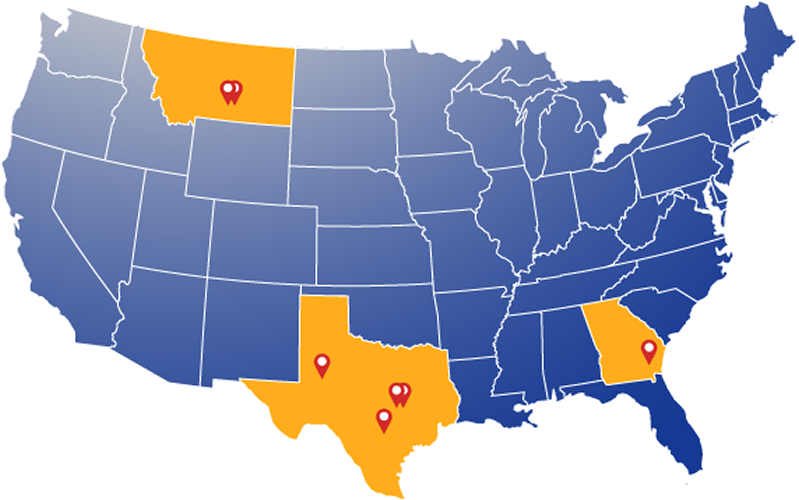 Our delivery personnel see to it that our products are shipped on time and safely to their destination. Prepare the excavation in a normal manner. Measure and cut holes for any existing pipes. Next, pour the concrete base and insert the wetwell into the wet concrete. Use the provided lifting lugs to lift the wetwell. After the wetwell has been leveled and set to proper grade, pour concrete over the anti-flotation flange. Finally, backfill to engineer’s specifications using a moderately compacted sand or crushed stone. The backfill should be added evenly in 1’ lifts. Note: always observe all safety rules and regulations when installing fiberglass wetwells. We stand behind the products that we build. 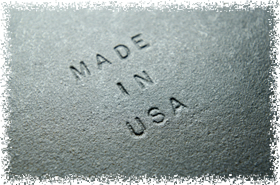 Our fiberglass wetwells carry a one-year limited warranty. For additional information, see the warranty section of our brochure.